Ray Thomas (harmonica, vocals), John Lodge, and Michael Pinder keyboards, vocals) were members of El Riot & the Rebels in Birmingham in the early 60s. The group disbanded when John Lodge went to technical college and Mike Pinder left to join the army. Mike Pinder and Ray Thomas later formed the Krew Cats and recruited Denny Laine, Graeme Edge and Clint Warwick. They appeared as the Moody Blues in 1964 for the first time in Birmingham. Decca Records signed the band and their first single, “Steal your heart away”, met with only modest acclaim. The band decided to do a cover version of Bessie Banks “Go Now” and on release it catapulted the Brummies into the pop limelight and went straight to Number One in the UK and the United States. Try as they might the group could not find a suitable successor and were destined to become one hit wonder. Their manager and producer Alex Murray (aka Alex Wharton) left along went Clint Warwick and Denny Laine (who later joined Wings). In 1966 John Lodge and singer Justin Hayward joined the Moody Blues and they began to develop an original style with featured Ray Thomason’s flute and the symphonic sounds of the mellotron (electronic keyboard). The instrument was originally a rival to the Hammond organ and had been used on the Beatles "Strawberry Fields Forever" and, "I Am the Walrus.” It generated an eerie, orchestra-like sound which gave the Moodies a classical edge. Decca had developed a new stereo recording system through a subsidiary company, Deram Records. Keen to try it out they convinced the Moodies to use Deramic Stereo as part of a deal to right off their debt to the company. With no hits the band owed several thousand pounds in advances. The planned project was to be a pop version of Dvorak's New World Symphony but the Moody Blues insisted upon artistic freedom and were left in the studio without supervision. What transpired was not exactly what the record company executives were expecting but the album Days of Future Passed (1967), became one of the most successful commercial releases of all time. The venture marked the first fusion of pop and classical music and the new mellotron, the beginning of synthesised music. The single from the album was 'Nights In White Satin' (1967). 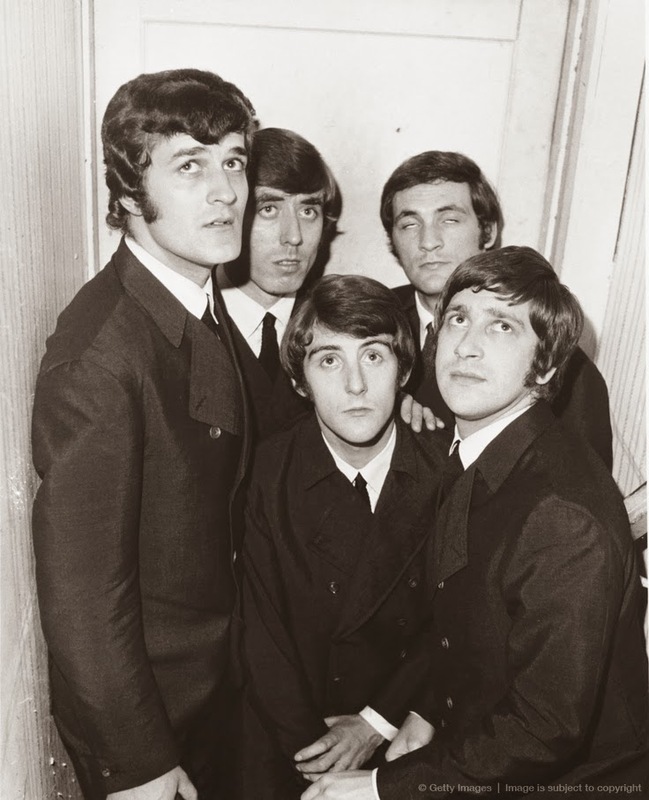 Later a second single from the album was released in 1968 entitled "Tuesday Afternoon" and became another massive hit. The Moody Blues were now debt free and went to the studio to work on a follow-up album In Search of the Lost Chord (1968) was recorded on eight-track technology and showcased more complex presentation as the group progressed. "Ride my See-Saw" was the commercial single. In the late sixties album sales were picking up and especially since stereo and multi-tracking maid high fidelity a new sensation. Many groups experimented with concept albums which were a novel approach to pop and represented a collection of songs and music under one theme. “Tommy.” by the Who was probably the most famous and became the first rock opera. Prompted by disputes with their recording company, London/Deram over album design costs the Moodies created their own record company, Threshold Records and in 1969 recorded another concept album to commemorate the first moon landing, To Our Children's Children's Children. Keen not to miss out on the lucrative stadium concerts in the US, the group decided to record only albums that could be played in concert. All five members of the band were by now composing songs, and each had his own identity, Mike Pinder the impassioned mystic, John Lodge the rocker, Graeme Edge the poet, Ray Thomas the playful mystic, and John Hayward the romantic. In 1970 they released A Question of Balance. Their albums enjoyed tremendous chart success in the US and their next two albums, two Every Good Boy Deserves Favour (1971) and Seventh Sojourn (1972), continued in the same vein although the group did return to their distinctive orchestral sound which had become their trademark. Heavy touring schedules left the band exhausted and they took an extended break to recuperate. Justin Hayward and John Lodge released duo albums, under the name the Blue Jays (1975) and the rest of the group undertook individual musical projects. They reformed in 1977 but artistic differences saw Michael Pinder replaced by Patrick Moraz (formerly of Yes). In spite of these difficulties, their albums were well received. The Moody Blues embraced a more modern and less symphonic sound, although synthesizers were still a strong part of their composition. Their last chart successes came in 1986 with "Your Wildest Dreams and "I Know You're Out There Somewhere"
The new millennium saw the Moody Blues reducing their touring schedule and in 2002, founding member Ray Thomas retired from the group. The remaining three members, John Hayward, John Lodge, and Graeme Edge have continued to tour.